The absorbing materials are part of the packaging instruction P650. 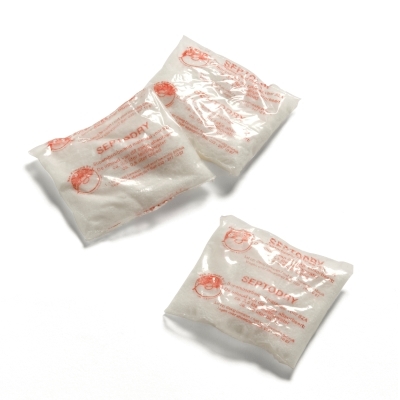 In emergencies the material will absorb all the liquid that has to stay inside the packaging. The pads of each 25 grams convert liquid into a solid substance and they are suitable for big diagnostic samples and medical waste. Absorbing ability of absorbing pads 0,5 liter blood or 3.5 liter liquids.